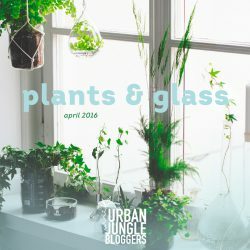 April was fully dedicated to our topic ‘Plants & Glass’. The idea was to show the translucent beauty of glass vesels for plants, cuttings, offshoots and other botanics. 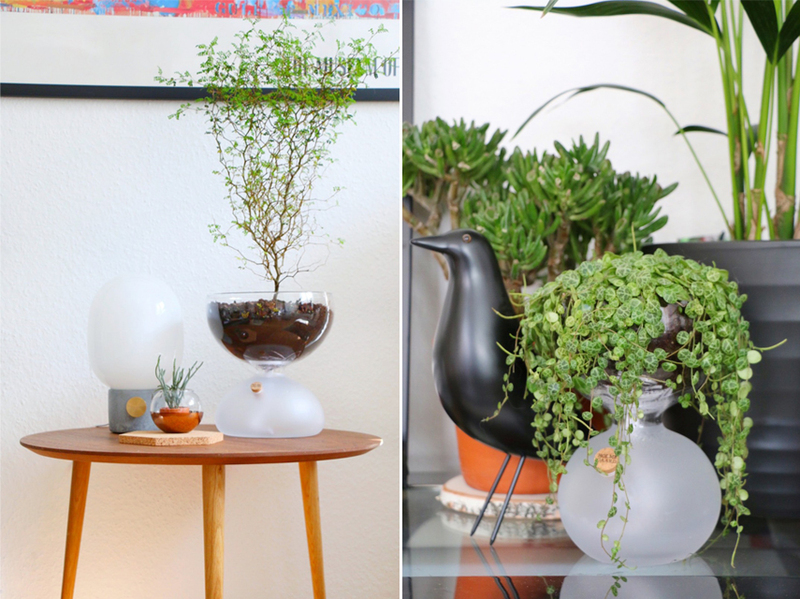 Our Urban Jungle Bloggers community was creative and fabulous as always – we have seen a plethora of beautiful plant stylings using glass vessels of all kinds. 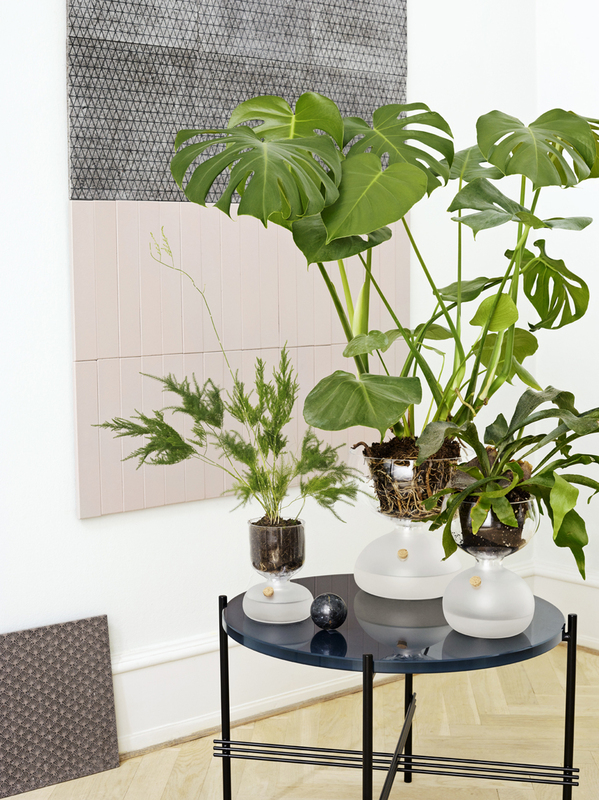 This month we have also teamed up with a special brand to highlight the beauty of plants and glass: Holmegaard, the Danish glassware brand and purveyor of glassware to the royal court in Denmark. 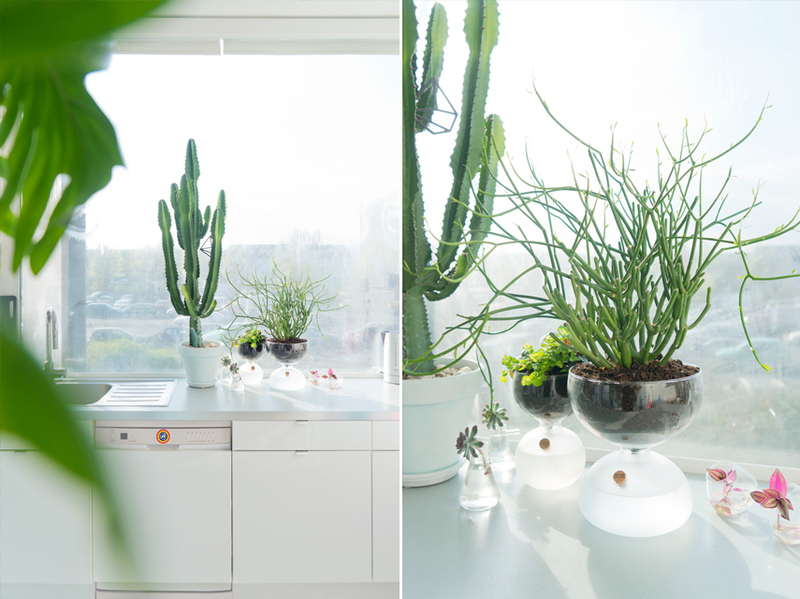 They have recently launched a collection fo new and beautiful glass vessels dedicated to plants and botanics. The brand new Gaia plant glasses designed by Aric Snee for Holmegaard cater to the growing urban gardening and urban jungle trend in metropolises. 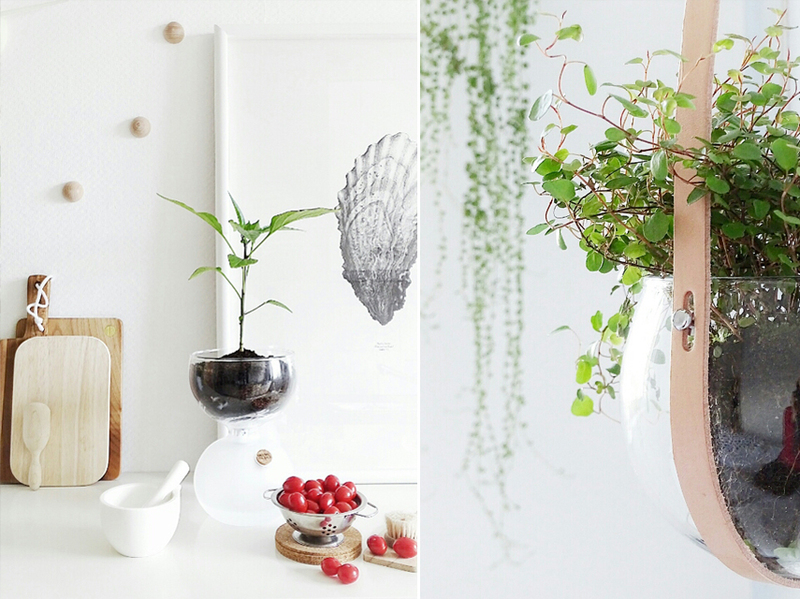 These beautifully designed glass vessels remind us a bit of traditional sand glasses. They combine a glossy and clear finishing on the upper half with a sleek, matte finishing on the lower part. 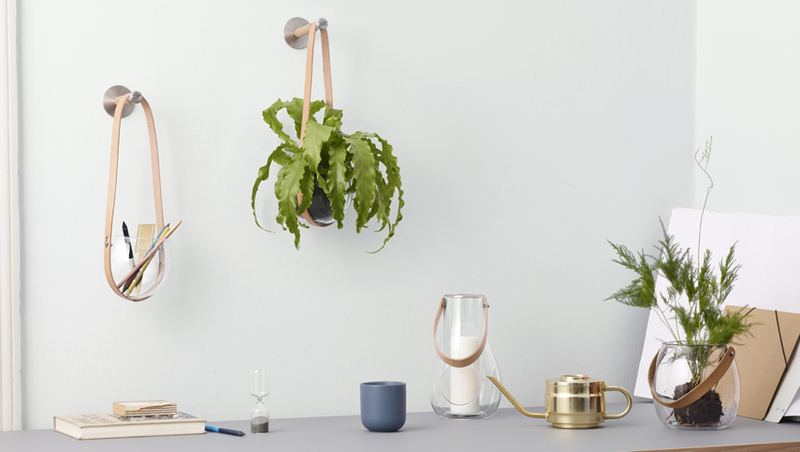 The Gaia planters use the simple self-watering system with a little rope and knot to water the plant regularly – but only as much as the plant requires. 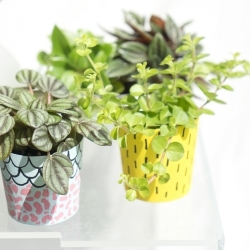 These vessels are not only great for houseplants which love regular watering, but also for kitchen herbs. Think of that basil pot you keep buying at the supermarket and it wilts like within a few days. That problem is solved with Gaia. 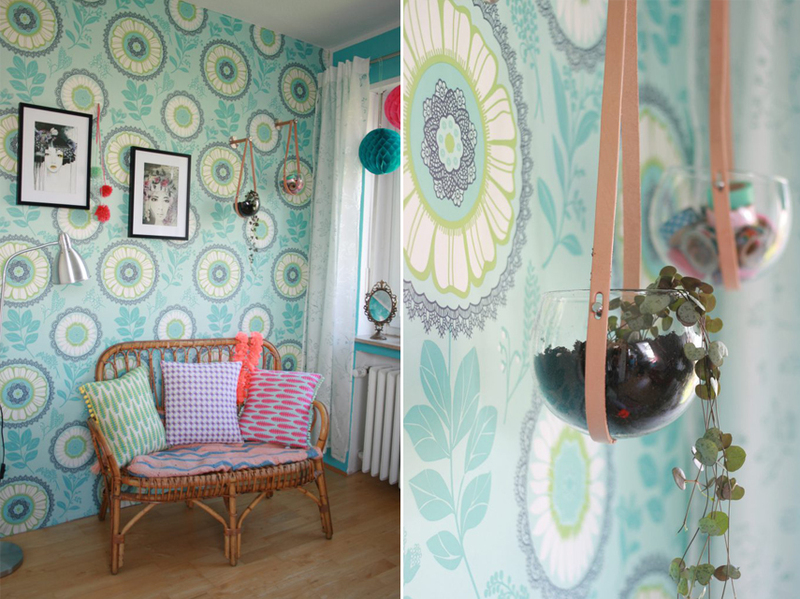 And we need not mention how stylish it looks in design-savvy homes. Win-win! 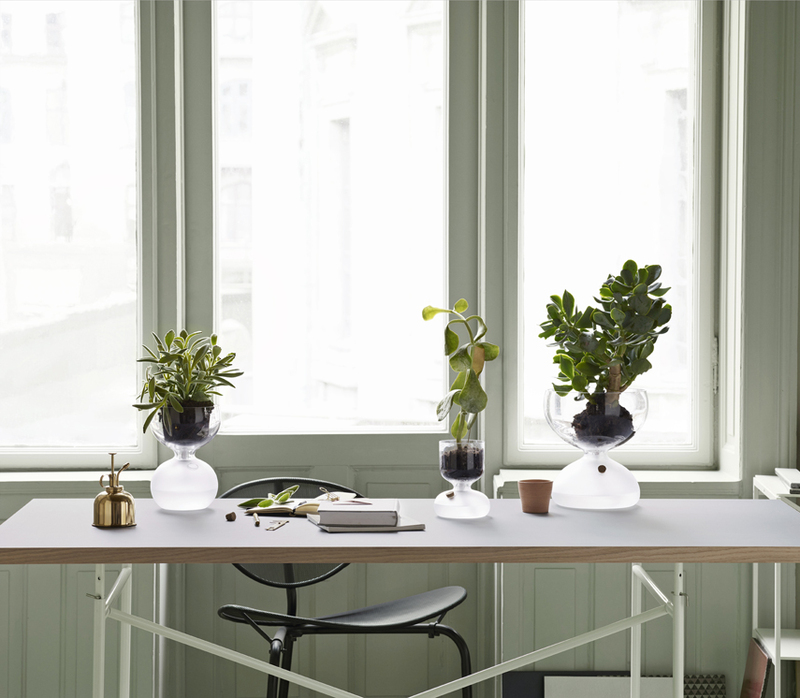 Another beautiful glass vessel for plants is the hanging vase named ‘Design with Light’ by Maria Berntsen for Holmegaard. 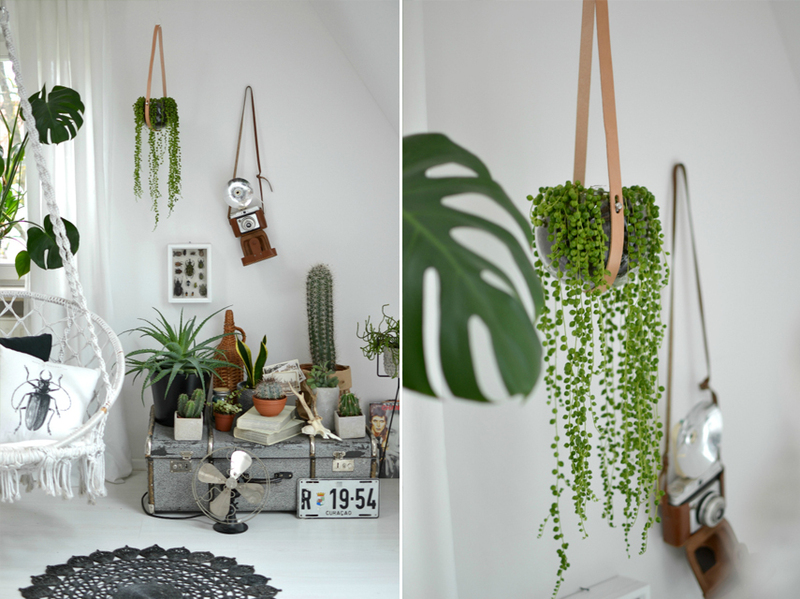 This hanging pot has a strong Scandinavian design DNA with its light and airy look of a glass vessel fixed by a rustic natural leather strap – hung on the wall or from the ceiling this makes a great green statement for Scandinavian inspired interiors. Here again plants which love more watering and moist soil will be an ideal choice. 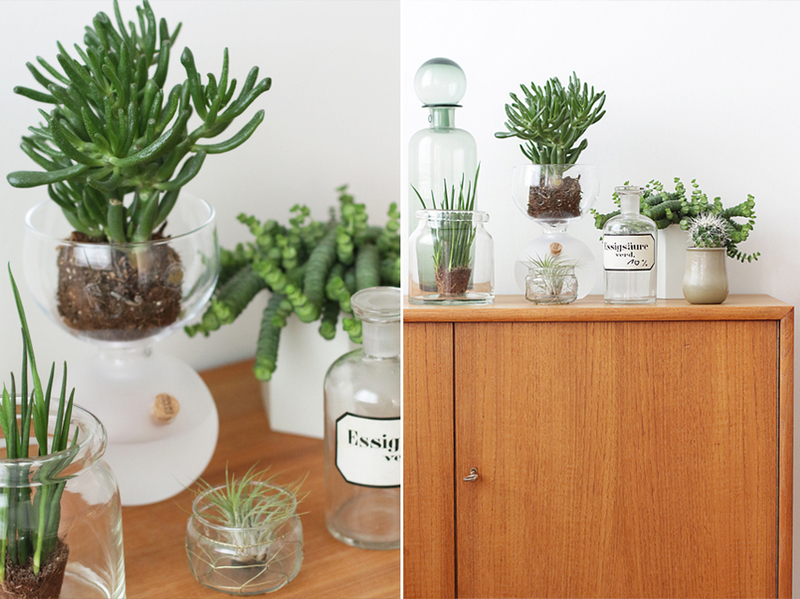 Glassware is not the first option that comes to the mind when thinking of plants and plant pots. 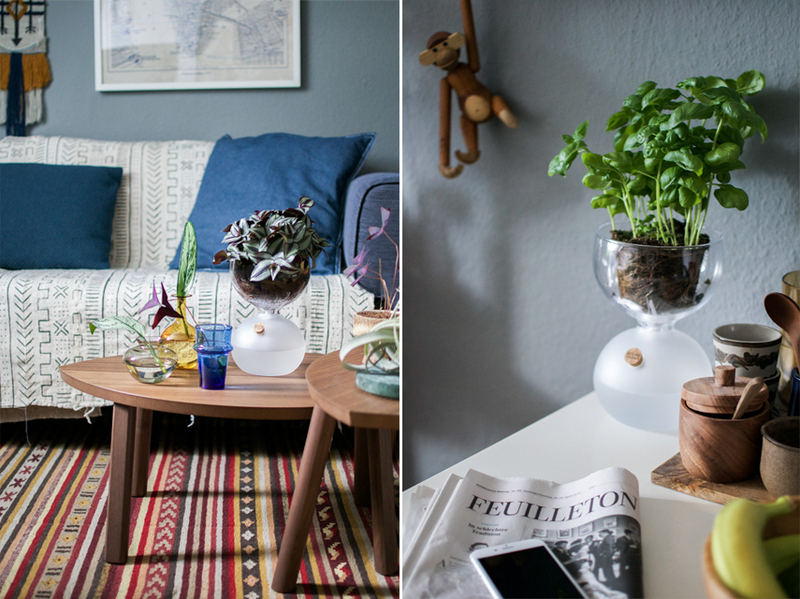 But Holmegaard shows us that this is definitely an option well worth considering – especially with beautiful solutions like the Gaia range that combine a smart self-watering systems with a beautiful design. All made of glass.